Digital transformation is the process of using technology for a complete change in your business. These changes include, changing the way a person works, challenging their thoughts and the strategies that they depend upon. This change in the activities of a company is now widely referred to as digital transformation. It may seem hard at first but this will allow your business to become more efficient, data driven and take a big advantage of more business opportunities. 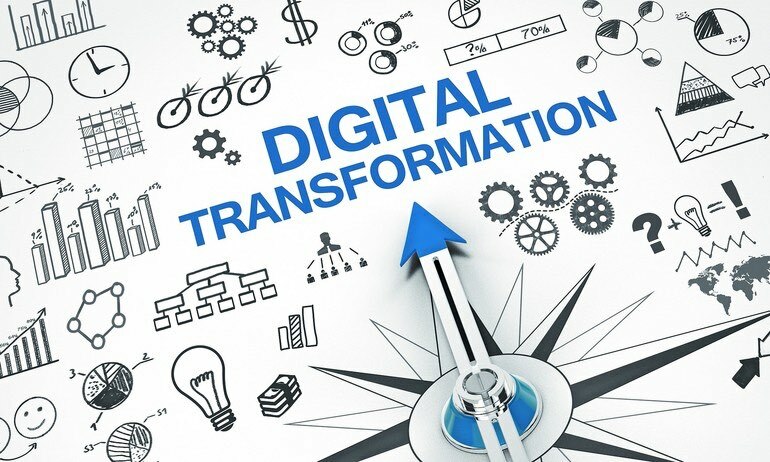 The initial battle is to define what digital transformation means for your business. Digital transformation may be the answer to many of the questions your company is challenged with today. Digital has changed the way in which value is created by companies and extends itself to other activities of a company such as value monetization or value communication. Digital technologies are fundamental for your business, strategically impacting business. For this reason, this step is to have a digital transformation strategy that clearly addresses the why, how, what and when across a definite timeline. Creating value for your costumers determines your company’s success. Maintain your focus on how easily you can digitally augment your core capabilities and realign them to deliver the outcomes that your customers really desire, rather than the products or services that you’ve traditionally sold. Creating new operational capabilities enabled by technologies, build platforms that push the workforce and resources towards rapid. As well as customer innovation, collaboration and digitizing operations quickly. Clearly communicating your plan and vision for the company is just as important as coming up with the strategy. Provide employees with transparency, a clear structure and plan, and adequate training to prepare them for the digital transformation. Start executing on your plan, timing can change, but priorities and responsibilities should be clear and agreed upon by all. Expecting remarkable outcome throughout the process.